We have upgraded our online banking to provide you with even better service and to enhance your banking experience across all of your devices. For the best experience with the new online banking features, we recommend updating your browser to the latest version. Update your browser to get the most out of the new online banking. Q2online is not compatible with Safari® on Microsoft Windows, as Apple discontinued development of security patches for Microsoft Windows. However, Q2online is compatible with Safari on Mac OS X 10.8, as shown in the next table. What is this new "unified experience?" 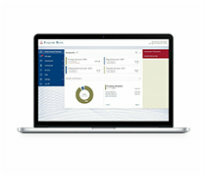 "Unified experience" simply means that the look and feel of your online banking is consistent on all of your devices. It is intended to improve your experience by making navigation simple and familiar regardless of device. Will my login change with the upgrade? No, it will remain the same. And you'll be able to access your online banking via desktop browser, tablet, or smartphone app. Which browsers are compatible with the online banking upgrade? The only requirement is that your browser must be HTML5 compatible. We recommend updating your browser to the latest version available -- not just to ensure compatibility with the new online banking experience, but also to ensure that your online banking is as secure as possible. If you try to log in without a compatible browser, you will be redirected to a website to download a new version of the browser. The minimally supported browsers are: Internet Explorer – Version 11 and below, Firefox – Version 24 and below, Chrome – Version 30 and below, Safari – Version 6 and below. Absolutely! You can download the app on any Android or Apple device, and it will provide a consistent experience with banking from your desktop. If you're on a platform that isn't Android or Apple, you can always access online banking via your HTML5-compatible mobile browser. Where did secure messaging go? Secure messaging is now available as an option in the menu. In this version, you'll also enjoy a threaded messages feature and the ability to delete multiple messages at one time. The "Help" button available in the "Menu." Yes. All of your account history is carried over to the new oniline banking service.